The Sindhi people, originally belonging to Sindh (now in Pakistan), are supposed to have deep prehistoric roots. Sindh’s first known village settlements existed way back in 7000 BC. This culture blossomed over several thousand years and gave rise to the Indus Valley Civilization (around 3000 BC). The proximity of the great Indus River nurtured the bounty of crops, besides providing abundant sea food to the people living nearby. 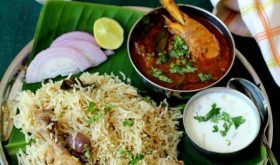 Sindhis flourished along the Indus River and their cuisine was an amalgam of the local produce and the influence of neighboring cuisines that infused Gujrati, Kutchi, Punjabi flavors in day to day cooking. Also due to various invasions, many of Persian, Iranian and Arabian flavors seeped into our unique Sindhi food. The beauty of Sindhi food lies in its simplicity. The basic flavors of vegetables are retained due to the use of minimum spices. One can cook a Sindhi meal using just 4 spices viz; Turmeric powder, Coriander powder, Garam masala powder and Amchoor (Dried mango powder). And no, Sindhis do not eat food dunked in oil, it’s just the myth. Though we are ill famous for our love for deep fried food, there are many meals that can be cooked in just 1-2 tsps of oil. A typical Sindhi breakfast on weekdays would be Koki, a spiced up, double-cooked, unleavened flat bread. It could be paired with almost any edible Indian food. Be it veg. or non veg. curry, dry subzi, fried potatoes, Dahi (curd/yoghurt), pickle or even with just tea or papad. Apart from Koki, a variety of Parathas stuffed with veggies like Potato, Radish, boiled green grams etc are eaten with pickle and papad or Dahi. 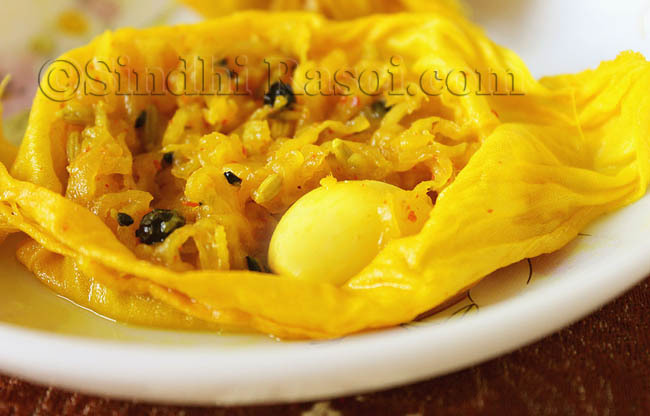 The typical Sindhi stuffed paratha is Dal paatoh phulko, made from yellow moong dal, which is cooked till al dente and with spices tempered in ghee. During winters Sorghum is used either to make porridge tempered with mustard seeds or its flour is used to make Rotis, called Dodo in Sindhi. For sweet lovers , a roti made from sugar/jaggery syrup called Lolo is pretty popular, and so is Bori, a crumble made from whole wheat flour and sugar and ghee. Bori is generally served with preserved lemon and papad. And for those who like a marriage of sweet and savory, Seyun patata ( Sweet vermicelli with Potatoes) is an ideal choice. Interestingly, there is a tradition to send vermicelli- potato breakfast to the newly wedded daughter, right on next day of marriage. Leftover rotis from last night dinner are turned into spicy Seyal maani (Rotis cooked in Sindhi Style pesto) and at times soft dinner rolls (Laadi pav) is used to make delicious Seyal dhabhal. Though the calorie conscious generation of today avoids greasy Sindhi food, but itâ€™s very hard to find a Sindhi who would say no to Dal pakwan. A breakfast fit for the king! Till few years back, Sundays were made special by relishing Dal pakwan, or Chola Dhabhal (Garbanzo beans curry served with bread) or at times Dal moong (Mixed lentils). And most of the times, you will end up skipping lunch after enjoying such a lavish breakfast. 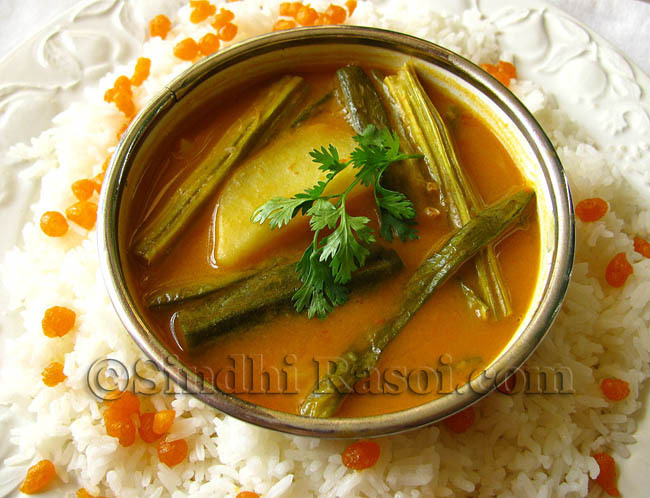 The moment you utter Sindhi cuisine, two dishes that strike your mind are probably Kadhi chaawal and Saibhaji. 2) Tomato based curry: To the tempered cumin and curry leaves, grated tomatoes are added and cooked till rawness of tomatoes disappears. The vegetables like gourds, potatoes etc and the beans or lentils are added to this gravy and cooked further. 3) Diced/sliced onion based vegetables: A Do-pyaaza style preparation, wherein sliced or diced/chopped onions are cooked till translucent and chopped vegetables are then added along with tomatoes and spices. The quantity of onion is greater than that of vegetable. 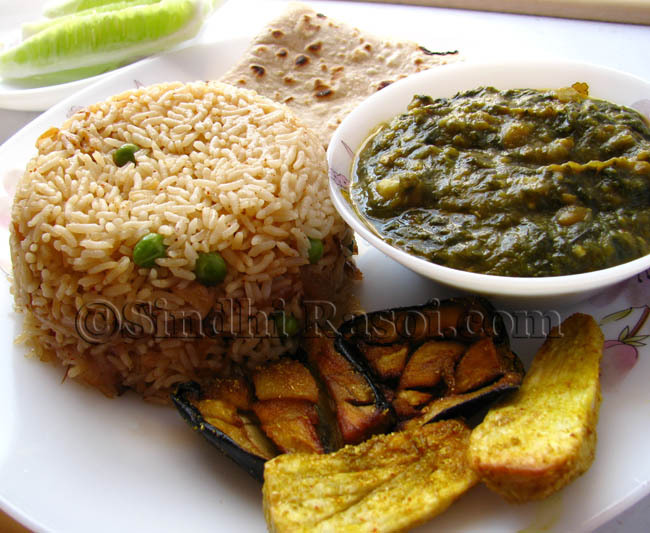 Some popular Sindhi dishes that comes in this category are Seyal Bhaji, Bhindi basar, Bhee basar, Karela basar etc. 4) Saye masale mein: A traditional Sindhi masala preparation wherein generous amount of Coriander leaves are pounded (and never grind-ed) along with ginger, garlic and green chillies and cooked with grated tomatoes and spices. This pesto like mixture serves as a base for many preparations like that of Seyal maani, Gobi Patata, Bhee patata , fish etc. 5) Daas: Another popular method of cooking is ‘Daas‘ wherein whole vegetables like apple gourds, bitter gourds or capsicum are stuffed with a mixture of grated onion and Sindhi pesto and cooked till tender. Beans and lentils play an important role in our diet. The most popular Dal amongst Sindhis is a three lentil mixture called Tidali dal, ideally served with Sorghum Dodo and whole stuffed fish, Kurree. Apart from that Punjabi style Panchratni dal, Raanh (black eyed beans), Chola (Garbanzo beans) are regularly cooked in Sindhi homes. Dinner generally consists of simple Yellow lentils served with steamed rice and a side dish. The typical Sindhi people are crazy about Bhee (Lotus stem) and Swanjhro (drumstick flowers and tender drumsticks, both fresh and dried) and not to forget the spicy Amritsar vadis (Sun dried lentil cakes also known as Badi). Some of the best tasting snacks in our cuisine range from artery clogging deep fried ones, like Sanna pakora, Mirchi Pakora, Bhee tikki, Aloo tikki, Patties etc to the healthier and unique ones like Kuneih ja Bhee (Soft boiled Lotus stem cooked in earthen pot,served with dash of tangy mint chutney and pepper) , Dl ji tikki (Lentil Patty) etc. They say that probably a Sindhi cannot survive without a regular dose of Sindhi papad and pickle. 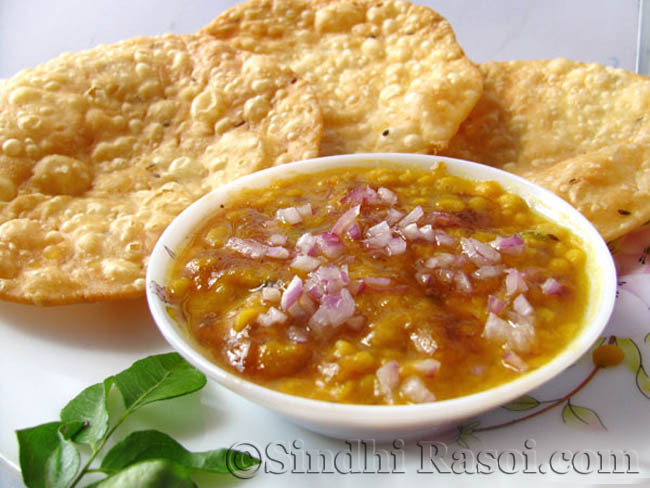 A Sindhi papad is made from Urad dal and Moong dal with the generous amount of black pepper and Hing. Our ancestors had gone through the pain of partition in 1947. So while whole India was rejoicing at the newly gained independence, Hindu Sindhis were forced to migrate from Sindh to India, leaving behind their homes, lanes and by- lanes, their belongings, their roots, culture, heritage, near and dear ones, money, valuables and above all the sweet moments of the life time. The military barracks in Mumbai were allotted to them and they didn’t had any proper homes or jobs. They started earning their livelihood by selling home made papad and pickles, gradually moving to other businesses and that’s how Sindhis flourished in India. Maybe that’s the reason Papad and Pickles are so indispensable to Sindhi cuisine. 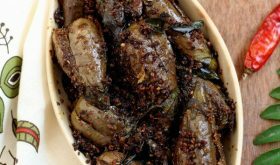 Now that we are talking pickles, one unique Sindhi pickle deserves a special mention and that is Gathri/ potli/ Bhendi pickle , made from grated raw mangoes and spices, tied in muslin cloth to make small potlis. A wide variety of pickles made using raw mangoes, lime, ginger, garlic, onions, turnips, carrots etc are popular amongst Sindhis. Many prefer the water based ones than Oil based pickles. The Kanji water used to pickle various vegetables not only taste delicious but also have its own health benefits. Murrabas made from Mango, Amla etc are preserved in huge quantities to last year long. Our sweet cravings are soothed by Gulabjamuns, rabri, Malpua, falooda etc. During festivals various sweets adorn the shops. Most loved mithais are Singhar (unsalted sev) Ji mithai, Narel (coconut) ji mithai, Attey (wholewheat flour) ja ladoo, Kajukatri (cashew) and the most unique sweets are Gheear ( complex concentric sweet that taste like Jalebi), Praghri( flaky crisp pastry, stuffed with either mawa or Bombay karachi halwa) dipped in sugar syrup and garnished with silver varq and dried rose petals, Tosha, Dryfruit varo (Praline) , Majoon (poppy seeds halwa with loads of nuts , dry fruits and dried coconut shavings) and many more. Many Non Sindhis assume that Sindhi are vegetarian folks. 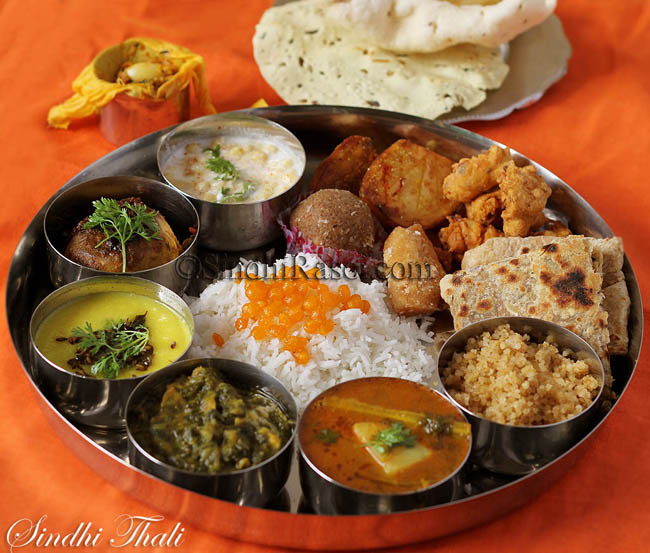 But on the contrary, Sindhis are very fond of Non veg food, particularly Goat meat and Pallo (Hilsa) fish. Inclusion of Meat kebabs and Biryani was the result of Muslim invasions but Pallo fish that swims upstream , signifies the never-say-die attitude of Sindhis, who despite going through the turmoils of various invasions, forced religious conversions and migration during India Pakistan partition, raised themselves up, against all odds, with dignity . The most interesting fish preparation is probably the ‘Dhakyal Machi’/ Koke Pallo wherein whole fish is stuffed with herbs, tamarind and spices and enveloped in flour rotis, sealed well and baked (Traditionally in sand, but nowadays using Oven). When it comes to goat meat, a nutritious soupy mutton curry is a hands down winner. 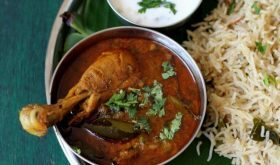 Sindhi Mutton Biryani is famous all over, and so is Photey bhugal ghosht, a cardamom flavored meat. Holi (Festival of colours): Mava samosa, Rotah ( Thick wheat flour rotis sweetened with sugar or jaggery, cooked on dried (hold your breath) cow dung. 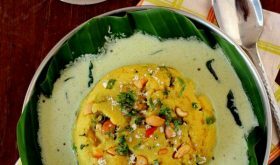 Thadri ( We worship goddess Jogmaya on this day and consume one day old food or cold food): Dal patoh phulko, Lolo, koki, besani( Gram flour rotis), dahi wada, karela (bittergourds) etc are cooked a night ahead and consumed on Thadri. An almost same procedure is followed on Nagpanchmi, known as Gogo in Sindhi. 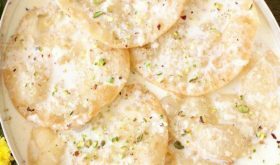 Ghyaras (Ekadashi, the eleventh lunar day ): We avoid Grains for whole day and include in our diet, foods like potato, Sago, Sweet potato, Dates, peanuts,and instead of using wheat flour , flours of Sauri, singhara etc are used to make puris or Dodo (thick flat bread). Other food that is consumed on this day includes, Bhee patata, ghyarsi bhaji etc. Chaliyo: A 40 day ritual observed by Sindhis, as an ode to our God, Jhulelal, to thank him for restoring peace and harmony in our lives. 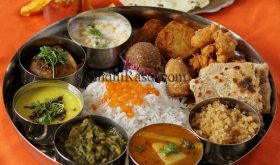 Any non veg food, or food with garlic, onion is forbidden, and so is white colour food.Those who observe strict fast, give up wearing anything made from leather (footwear, belt etc), males abstain from shaving or hair cut and people generally visit the Sindhi temple every single day of this 40 day fast. On the last day of Chaliya, a feast of various subzis, rice, pakora, pickle etc is relished. Tayri (Sweet rice) is the main food offered as prasad in this festival. Ashtami: The little girls are invited at home and fed Dal puri, seero, kheerni etc. Chaumaso: In monsoon, Lord Shiva is worshiped by Sindhi women/ girls, by observing fast on 13 Mondays and the fast commence on 14th Monday with a pooja and prasad of sweet, flour based crumble called Kutti. During the fasting 13 weeks, women eat one (Satvik ) meal in the evening. Teejri : A simple fast that ends up when moon is visible in the sky on the Full moon day that falls immediately after Raksha Bandhan. Girls and women fast for their soul mates (Girls fast to assure that they find a perfect groom). After offering rice and milk to moon, a simple meal without onion, garlic or non veg is consumed. And here comes a Sindhi Thali, that I cooked to share (virtually) with dear Sailaja for her Indian Food Trail. Going in clockwise direction, starting from Roti, here we go…. Soak tamarind in water for sometime and mash it with hand.Use the paste and discard remaining pulp. In pressure cooker put 2 tbsp.of oil, add gram flour and stir it continuously till it changes color slightly. Add curry leaves, mustard seeds, cumin seeds, fenugreek seeds, while stirring continuously. When the flour turns brown in colour, add red chilly powder and then add grated tomatoes, keep frying for few more seconds.Then add some water,while stirring, to avoid any lumps. But be careful as it splutters a lot at this stage. Add turmeric powder, ginger, green chillies and salt, place the lid of the pressure cooker, close it and wait for 7 whistles or simmer it for 10 minutes minimum. (Note:Instead of pressure cooker, same can be made in thick base pan,where the curry needs to be boiled for approx 5 min and then simmered for 15-20 min). Finally add bhindi and coriander leaves and simmer for 2 min. By Sailu Published: April 23, 2013 Indian Food Trail goes to Sindh with Alka, a prolific food blogger passionate about her culture and food. 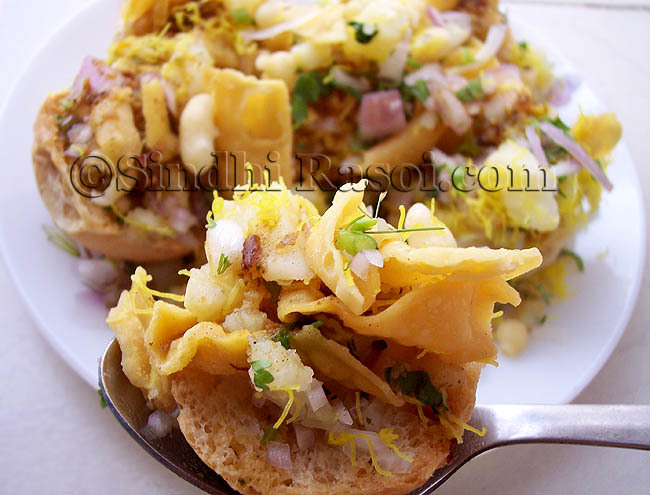 Alka enlightnes us on SIndhi cuisine and recipes. Wonderful Post. Loved all your recipes Alka. Thank you for keeping our Sindhi food alive…its hard to get all the recipes to our favorite foods. I am so Happy I found your website. u didnt mention when to add vegetables..thanx.. I so much wanted to learn to cook sindi kadhi….n nw I can make dis when ever I wanna eat…thank u so much. I read your Sindhi-cuisine section and every dish I read about brought smile to my face! 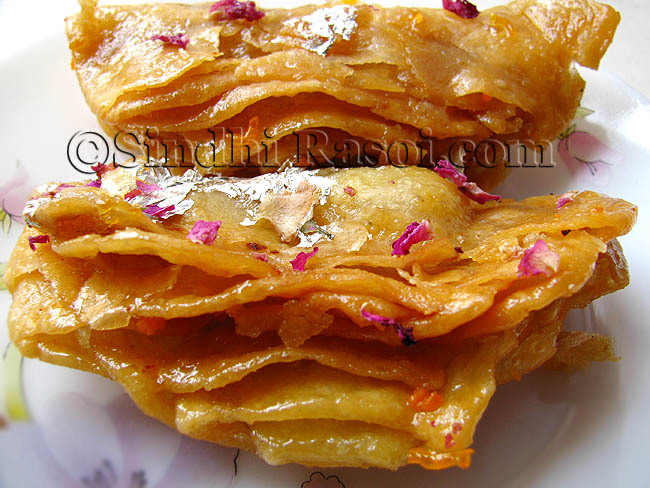 Being a Sindhi, I could co-relate every recipe, every festival we have celebrated since my childhood days. Being a sindhi i can guess all the recipes are authentic. Good going.. keep it up. I need the recipe of saccho saag, tje one eaten with ore wari dhili white khichdi.